NEW FIGURES HAVE shown that one third of Irish people regularly witness other motorists applying make-up or shaving while driving. The survey carried out by the AA saw questions put to 7,500 motorists who were quizzed on how often they witnessed other drivers breaking the rules of the road. 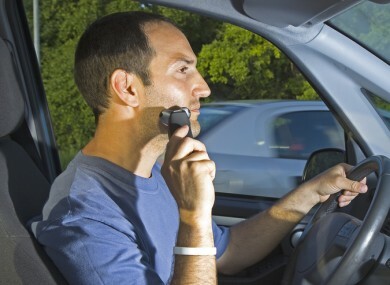 Currently applying make-up or shaving while driving is not specifically mentioned as an offence in legislation, but is generally considered to be ‘driving without reasonable consideration’, something penalty points can be given for. What else were drivers seen doing? A big issue noted was other drivers holding a mobile device, with 83% saying that they see this on a regular basis. Of those asked a further 56% said that they regularly see other motorists texting while driving, with 67% saying they see individuals texting while stopped at traffic lights. More than two-thirds of individuals said that they regularly witnessed other motorists holding an e-cigarettes or an actual cigarette while driving. More than 80% said that they regularly saw individuals using roundabouts without signalling, with 68% saying they regularly witness tailgating. To back up the research the AA has carried out a field survey. In total 415 vehicles were observed between 12.32pm and 1.32pm on 7 May earlier this year. During the field observation, two taxi drivers were seen using their phones while driving, ten were seen holding cigarettes, and one pedestrian was seen to step out in front of a car while talking on a mobile phone. Speaking about the conduct, Conor Faughnan, director of consumer affairs at AA Ireland, said, “It is worrying to think that people are still taking risks despite the fact that everyone with an ounce of sense knows the dangers. There are stricter provisions on mobile devices that will soon become law and there are really no excuses”. Poll: Should all cyclists and pedestrians have to wear hi-vis vests? Email “A lot of Irish people shave and apply make-up while driving ”. Feedback on “A lot of Irish people shave and apply make-up while driving ”.